What’s Happening over at EXP! LAST CALL!! 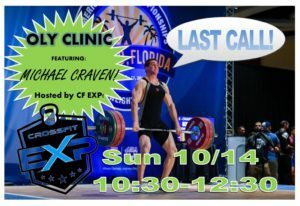 Oly Clinic with Mike Craven this Sunday 10/14!